The people of Montserrat are either of African or European descent, mainly Irish. English is the official language and the most widely spoken, but you may also hear a local dialect. The current population is approximately 5,879, having lost a large number of people to emigration after the decimation caused by the Soufriere Hills eruption. The population is mostly Christian, primarily Roman Catholic and Anglican. The beautiful island of Montserrat, the "Emerald Isle of the West," is a popular spot for tourists, destination weddings, and honeymoons. It's also a draw for people interested in volcanoes, with an active volcano right on the island. From Jack Bay Hill you can view the former capital of Plymouth, now known as the modern Pompeii. It is completely covered in volcanic ash from the eruptions of the Soufriere Hills volcano that began in 1995. Although the southern half of the island is now off limits, the rest of the island provides beautiful beaches for walking or sunbathing. If you enjoy deep-sea fishing, you may not find a better place than Montserrat. Explore the beauty of the undersea world by snorkeling or diving to see the spectacular coral reefs and colorful tropical fish. And of course, Montserrat makes a perfect place to hold a destination wedding. You and your guests will have a wonderful time taking in the sites and sounds of this Caribbean island. Montserrat is a small island, only 40 square miles (104 sq km), with smooth, sandy beaches and small coves along the coastline. The interior is hilly terrain, as you would expect on a volcanic island. The island is known as the Emerald Isle of the West primarily because of the Irish population but also because the lush greenery calls to mind the green beauty of Ireland. There are deep ravines called ghauts (guts) that carry fresh water from the tops of the hills down to the coastline. The most famous of these is called Runaway Ghaut. According to local legend, anyone who drinks from this ghaut will return to Montserrat again and again. Like other Caribbean islands, it has a warm climate with little variation. The heaviest rainfall is between July and November, which is also hurricane season. And, of course, there is the Soufriere Hills volcano, which adds to the circumference of the island bit by bit. Carib and Arawak natives populated Pre-Columbian Montserrat. Columbus claimed the island and named it for the Montserrat Mountain in Spain. The English acquired control of the island in 1632, primarily because of the immigration of Irish Catholics fleeing persecution in neighboring island settlements and other English colonies, including Virginia. Africans were imported as slaves during this time. From 1871 to 1958 the island was administered as part of the Federal Colony of the Leeward Islands. Then, from 1958 to 1962, it was a part of the West Indies Federation. Montserrat is now independently governed, though it is still a part of the British Empire. Two natural disasters mark the modern history of Montserrat. In 1989, Hurricane Hugo struck the small island and caused tremendous damage. 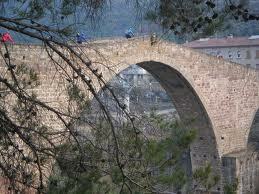 Over 90% of the structures were severely damaged or completely destroyed. The tourist trade, Montserrat's biggest industry, was nearly eradicated. 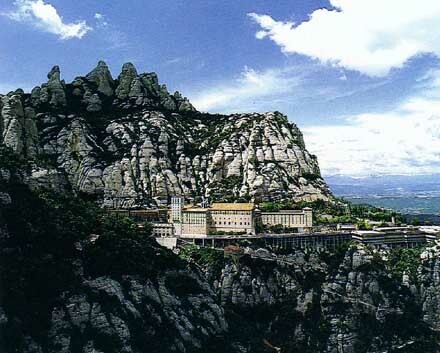 However, Montserrat managed to rebuild both the structures and the economy. Then, in 1995, a previously dormant volcano, Soufriere Hills, erupted and covered the southern half of the island in lava and ash. The capital, Plymouth, was completed destroyed. This led to the emigration of approximately 8,000 natives, primarily to England. Most of these people have never returned. Again, Montserrat was thrown into turmoil and economic hardship. And once again, Montserrat managed to overcome disaster and again become a prime tourist locale. The slightly more than 5,000 people that remain have rebuilt what was left of their island nation and have recovered admirably. While visiting Montserrat there are several points of interest you will want to put on your agenda. Although the southern half of the island is still off limits for safety reasons, there are several vantage points that you may use to view the former capital, Plymouth. You may also take a scenic boat tour that will give you insight into the destruction caused by the volcano. You may enjoy a visit to Carr's Bay Historical Site, replete with cannons and the remnants of the fort that once stood there. Then spend an afternoon at the Montserrat Cultural Centre, where you can take in a concert, stage a wedding, an outdoor theatre event, or see a movie. Be sure to look for the handprints of fame, including the handprint of the late Sir George Martin, producer for the Beatles. 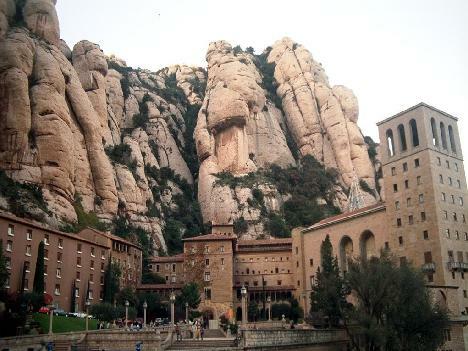 The cultural center was his dream and Montserrat is the richer for the hard work and planning he put into it. As a popular tourist destination, the nightlife of Montserrat is thriving. There are three nightclubs that are open only on weekends and special occasions, and there is quite a selection of local restaurants, so you can start your evening with a great meal. The local bars are called rum shops that have no closing time, so you can enjoy yourself as long as you like. One popular option is to take the rum shop tour. A van picks you up and takes you from one rum shop to another, so you won't need to drink and drive. It's a great way to find your favorite stop and pick up some local color along the way. English is the primary language of Montserrat, and a local Creole dialect is spoken in some areas. Despite the rich Irish Catholic history, Catholicism is not the largest religion. That distinction belongs to the Anglican Church. There are also some protestant groups, and Pentecostalism is a growing presence. Music, of course, is popular throughout the island with rich Caribbean sounds. As you might expect, seafood is a big part of the island cuisine. Montserrat is especially famous for its variety of seafood cakes, especially the lobster cake, made with lobster and greens pressed together. The island is also known for cattle and sheep breeding, so you can expect to find great meals that incorporate beef, mutton, and lamb. Montserrat also has a selection of local breads to tempt the palate as well.